1 season, 2nd season and an extra one. We've played them all. Kind of removed the urge/need to buy them. I don't know... I did enjoy the Laughing Man series. Last Exile wrote: We've played them all. Kind of removed the urge/need to buy them. haha well what would you condiser burning files to a disc? But yeh well what has eceryone else got now that i have shared? Discussion of the sharing of bootlegs on the forum is not allowed. Because it is like watching a person take their clothes off in public. FurryRP wrote: But yeah well what has everyone else got now that i have shared? GTO, Gunslinger Girl, Initial D vol 1 and Geneshaft, and my Beck is slowly growing. The weird thing? I haven't really seen any of them yet. I know who could divluge at least 90% of the contents of your collection, Greg. But I'll never tell. Not as big of a backlist that I have. 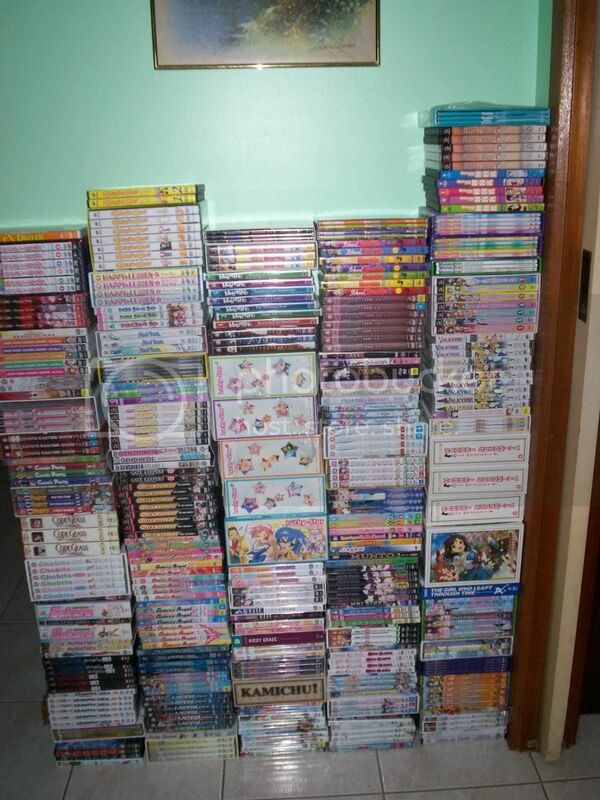 Sufferes wrote: GTO, Gunslinger Girl, Initial D vol 1 and Geneshaft, and my Beck is slowly growing. The weird thing? I haven't really seen any of them yet. Those are actually pretty good shows. Not top-flight classics. by any means, but certainly worth your while watching them. Apart from Initial D, but I'm probably in the minority with all the car nuts around here. Hey, Initial D does have some nifty races. It's just that everything else is rather sub-par. Sort of the opposite of Cyber Formula, really. Azumanga Daioh, Captain Harlock: The Endless Odyssey Outside Legend, Excel Saga, FLCL, Full Metal Panic!, Full Metal Panic? Fumoffu!, Full Metal Panic! The Second Raid, Giant Robo: The Animation, Shinkon Gattai Godannar, Super Dimension Fortress Macross, Macross Plus, Martian Successor Nadesico, Martian Successor Nadesico The Movie: The Prince of Darkness, Neon Genesis Der Krieg, Neon Genesis Der Krieg: Death and Rebirth, The End of Der Krieg, Der Krieg 1.0 You Are (Not) Alone, New Getter Robo, Princess Tutu, Serial Experiments Lain, Gun X Sword, Mobile Suit Gundam Summary Movies, Mobile Suit Zeta Gundam, Mobile Suit Gundam 0080: War in the Pocket, Mobile Suit Gundam 0083: Stardust Memory, Mobile Suit Gundam: Char's Counterattack, Mobile Suit Gundam F91, Mobile Fighter G Gundam, New Mobile Report Gundam Wing, New Mobile Report Gundam Wing: Endless Waltz, Mobile Suit Gundam SEED, The King of Braves GaoGaiGar, Code Geass, Overman King Gainer, Big O, Big O (Second Season), The Vision of Escaflowne, Cowboy Bebop, Royal Space Force: The Wings of Honneamise. In before bigger lists and photos. 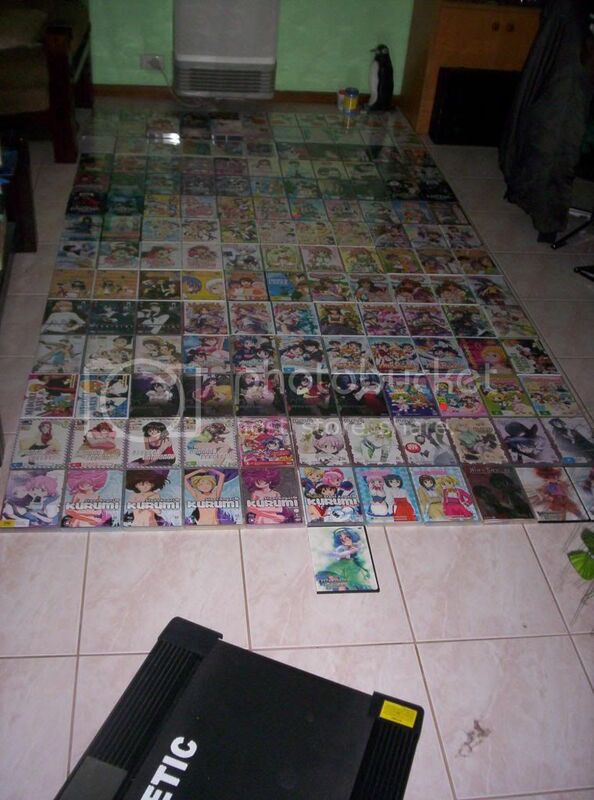 I just want to know why you have DVDs for an anime adaption that doesn't exist. Which one are you talking about??? Ooh! I see a penguin! "It's too damn hot for a penguin to be just walkin' around here. I gotta send him back to the South Pole." Dhumahn wrote: Which one are you talking about??? From a story/lore perspective, definitely. From a soundtrack/character design perspective, no. all those dvd's fail in comparison to harvey birdman atterny at law! I got all 3 dvds. i was surprised how he dies at the end. Did not see it coming. I'll say. Princess Tutu is awesome.